To welcome this Valentine’s Day, lets have some mini tart fill with chopped pecans and love! 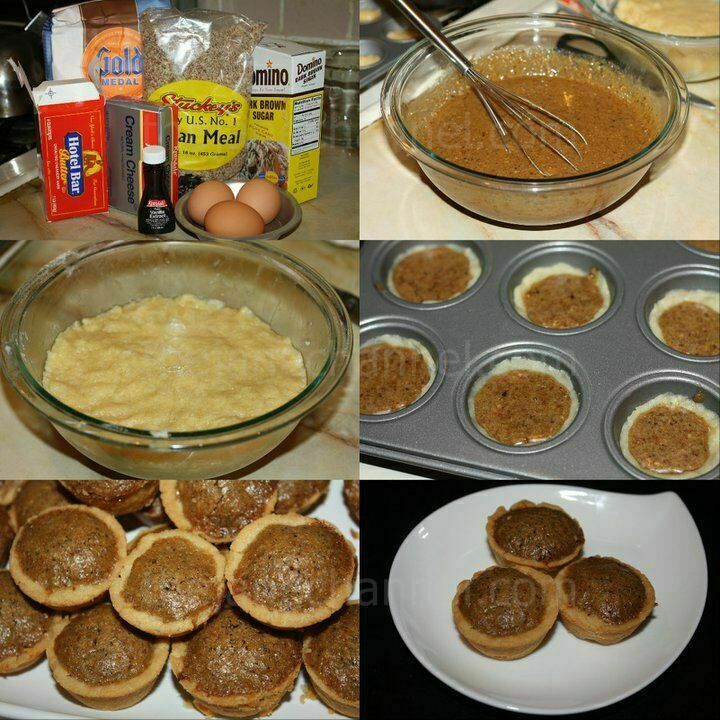 My friend Annette has gave me some pecan tarts few months ago, after i had it, i know this is a must keep recipe!! Mix flour, cream cheese and butter together. Make 48 mini balls into a mini muffin pan. Use thumb to press into the middle for a tart shape. Mix eggs, sugar, melted butter, salt, vanilla and pecans together. Fill the tart shells. Bake at 350 degrees for 30 min. Notes: do not overfill or they will erupt over the top of the tins. super sweet valentine’s day treat! You should post the calorie count as well. Just a note. Did you forget to mention to mix the eggs as well?